Welcome to this week's edition of Frugal Friday! I realize most of you who link up don't read "da rules" anymore because you've read them before, so I just wanted to make a note up here at the top. I love, love, love having you all link up every week, but I would like to amend a rule. I would really like to make sure that the posts that are linked up are your own projects. I have noticed many posts that are for Etsy shops, giveaways, reviews or features of other bloggers' work. While these posts are great and have a place here in blogland, they really aren't in keeping with the spirit of Frugal Friday. So please refrain from linking these types of posts to this party. Okay, off my soap box. Thanks!! Are you a resolution maker? I am. 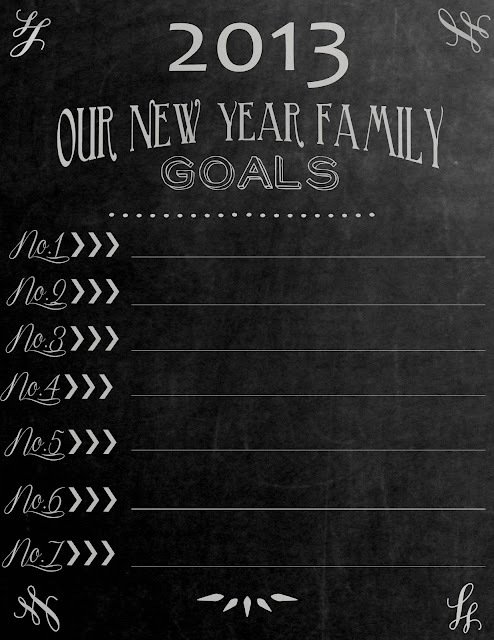 And so I wanted to share this cute FREE New Year's Resolution Printable which was linked by Carissa Miss. 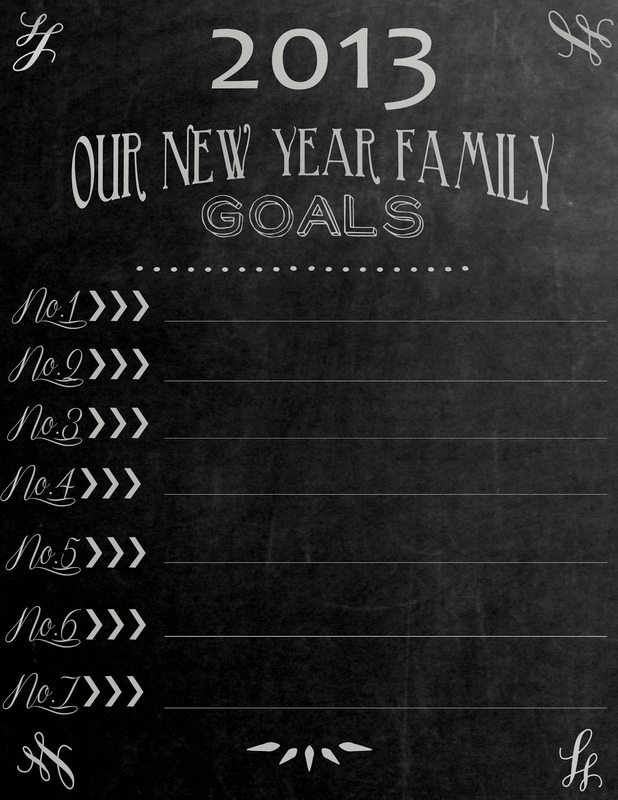 What a fun way to keep track of your goals! I love the idea of making some of these pretty ice lanterns for my next party. 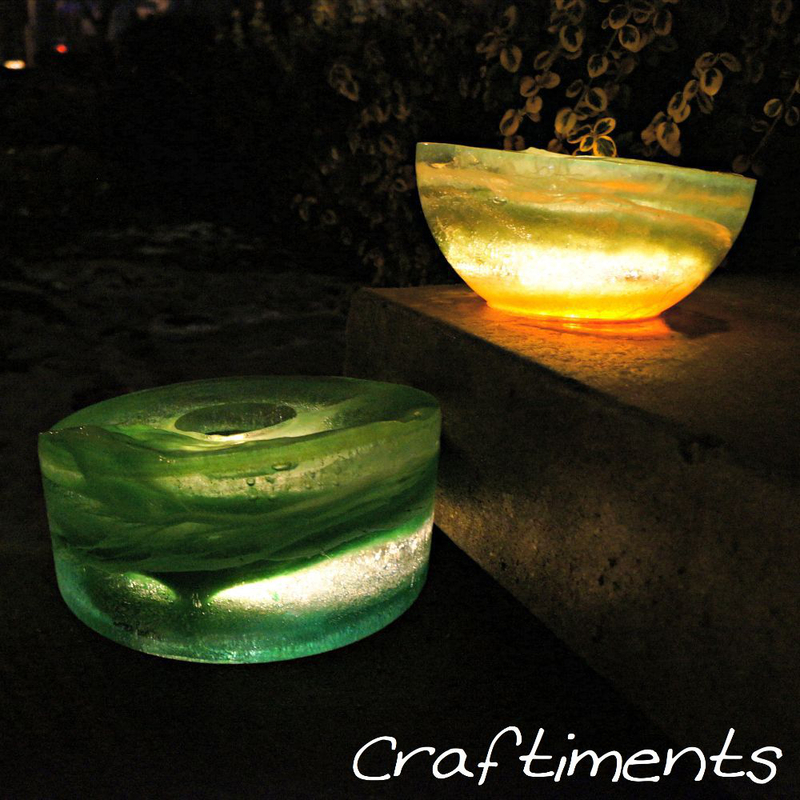 Craftiments shows you how! 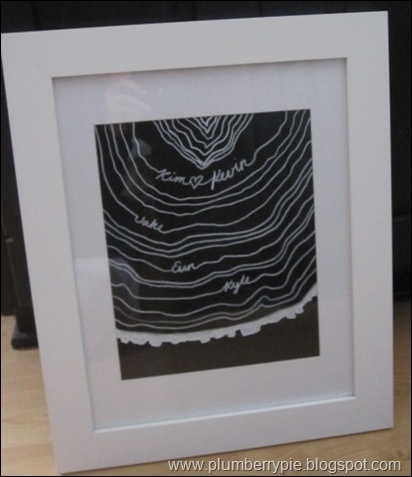 And finally, Plumberry Pie shared this darling modern take on a Family Tree. I love this idea!! Oh, and just a note...if you Pin from this party, please do so from the ORIGINAL SOURCE. I love it when you all link up...and I want any Pinterest traffic from those posts to go to the bloggers who share them. So please click through to the original post before you pin. THANKS! Thanks for hosting! I agree with your rule. I was recently shocked to see one of my photos as a thumbnail for a linky party (not yours) and I knew I hadn't linked up. It turns out this womans post was just showing Christmas decor she liked with other people's photos. It was a little unsettling. The woman was older and I could tell she didn't know how to put links in her posts so I just decided to let it be, but I wasn't thrilled about the situation. Thanks for hosting! I'm so excited to finally be posting projects on a blog I've been following faithfully for a long time. Thanks for hosting! I haven't linked up in a while, but I thought my Grocery Budget Tip was a good fit for "Frugal Friday", especially since it's one that works for any budget or diet. :) Hope you have a wonderful weekend! Thanks once again for hosting! I love seeing everyone's projects! ice lanterns! what a neat idea! Thanks for hosting & have a great 2013! Such a great party! Thanks! Thank you for hosting and for sharing your great ideas! We frugal types thanks your for hosting the party!